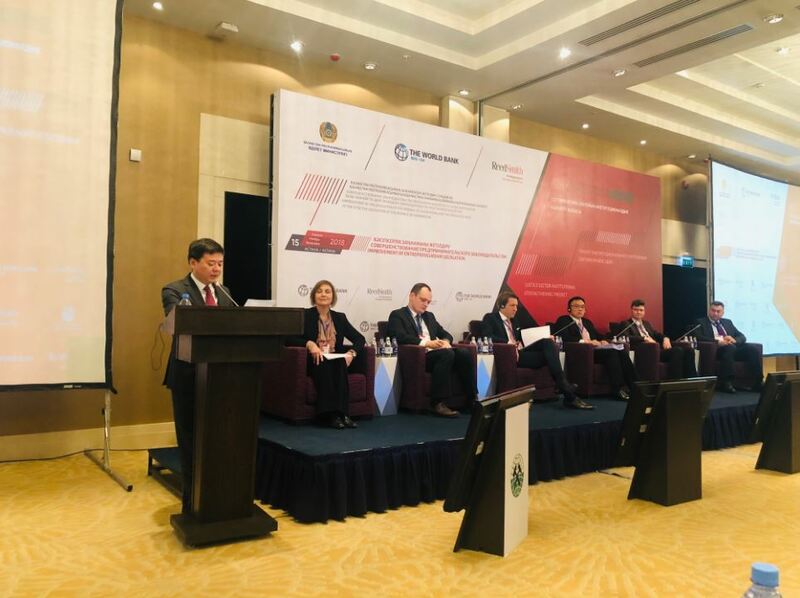 The Ministry of Justice of Kazakhstan together with Reed Smith LLP company held a roundtable on the improvement of business legislation in the Republic of Kazakhstan. The event was attended by international experts, representatives of interested state agencies and organizations. Yarik Kryvoi moderated the event and explained the methodology of the research and the international law issues related to foreign investments protection. Dmitry Davydenko appeared as the expert on Russian law matters. The goal of the event consisted in presentation and discussion of the approaches developed by international experts on the further development of certain provisions of the Business Code, which will be used in the future for legislative activities. During the work of the roundtable, issues related to the reform of corporate law, as well as contract law, were also discussed. In addition, participants of the event discussed some issues regarding foreign investment and disputes between the investor and the state. The initiatives put forward for discussion were developed in the course of the analysis of national legislation, law enforcement practice, doctrine, and foreign experience. In particular, the legislation of the countries of both the Anglo-Saxon and the Roman-Germanic legal traditions were studied. Among them: Russia, the UK, Germany, Singapore. improving the investment climate and business environment.